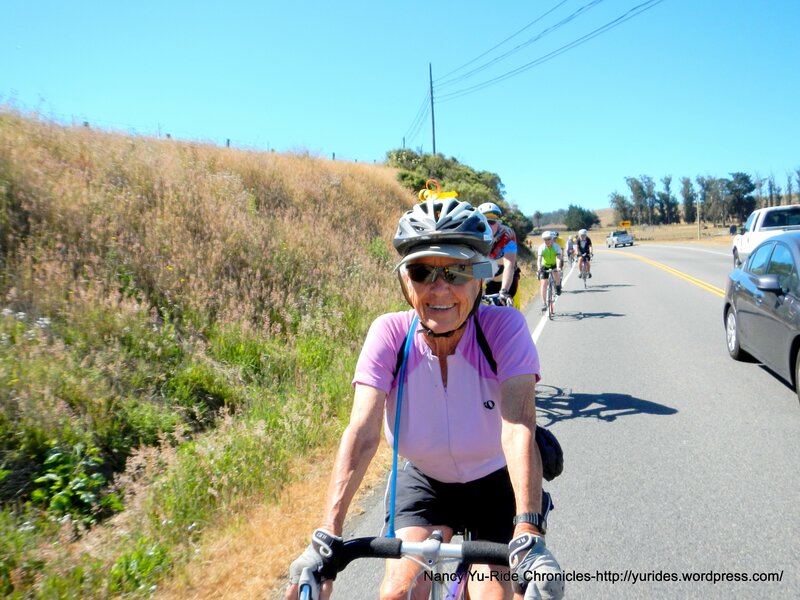 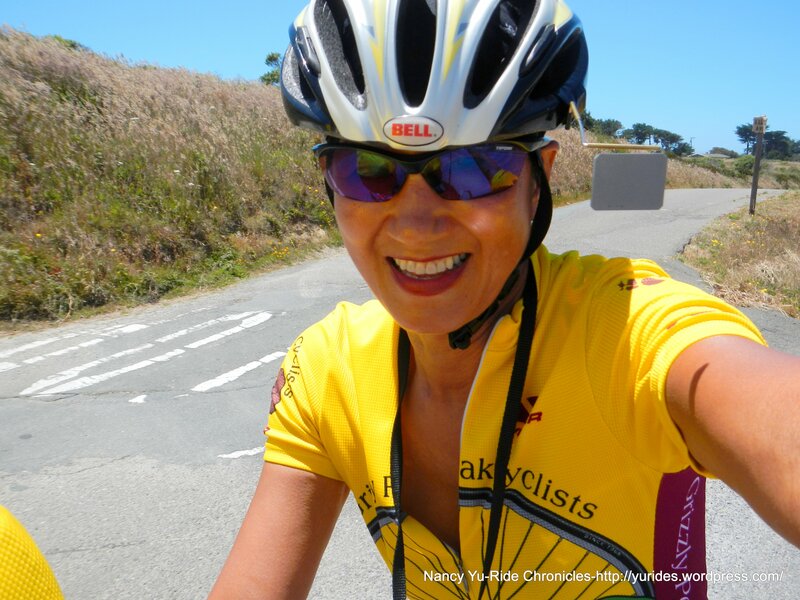 Valley Ford to Duncans Mills-June Birthday Ride! 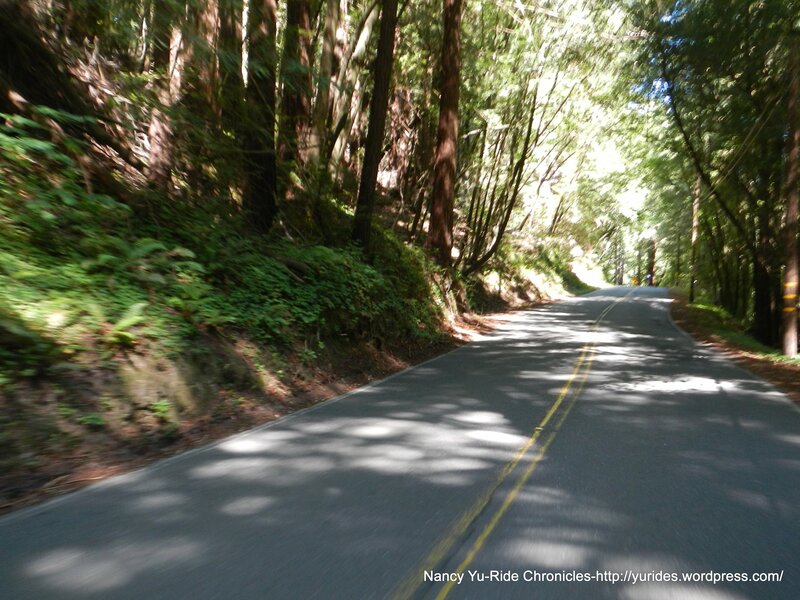 How time flies-we’re going on another classic route to celebrate June birthdays! 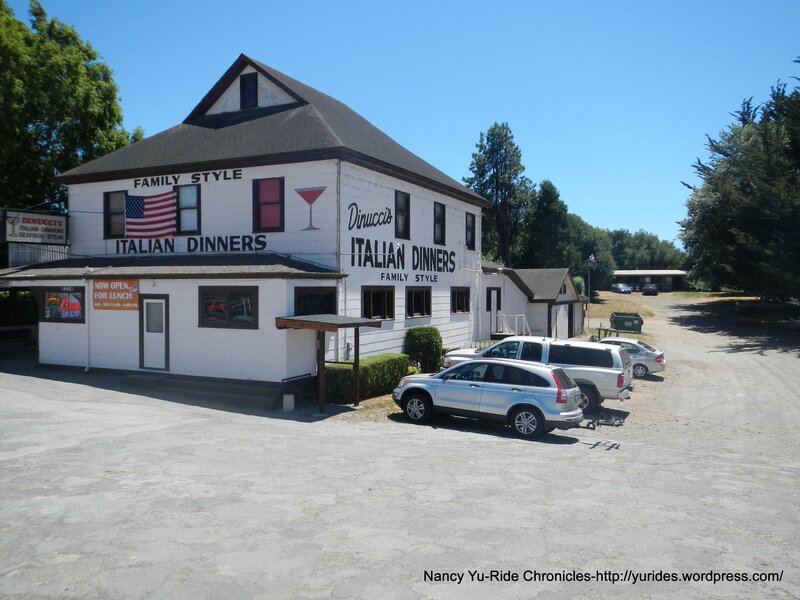 The starting location is at Dinucci’s parking lot at Valley Ford. 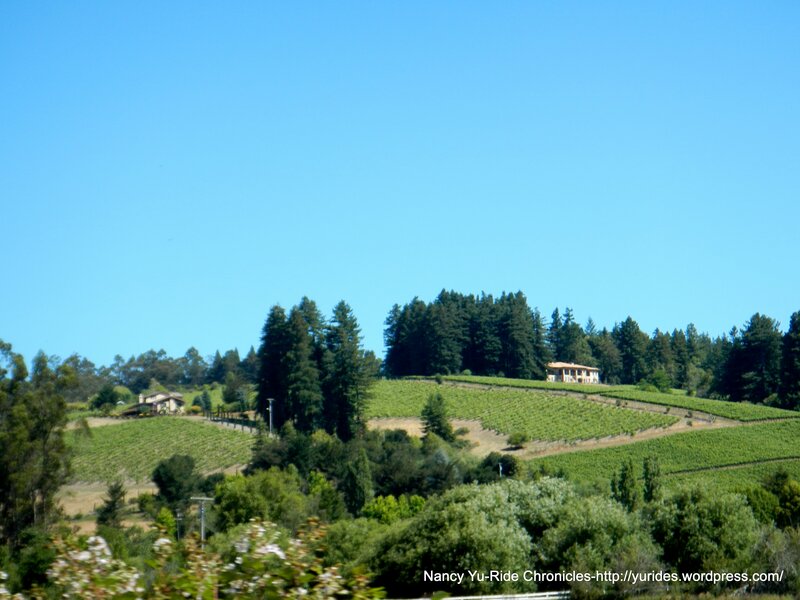 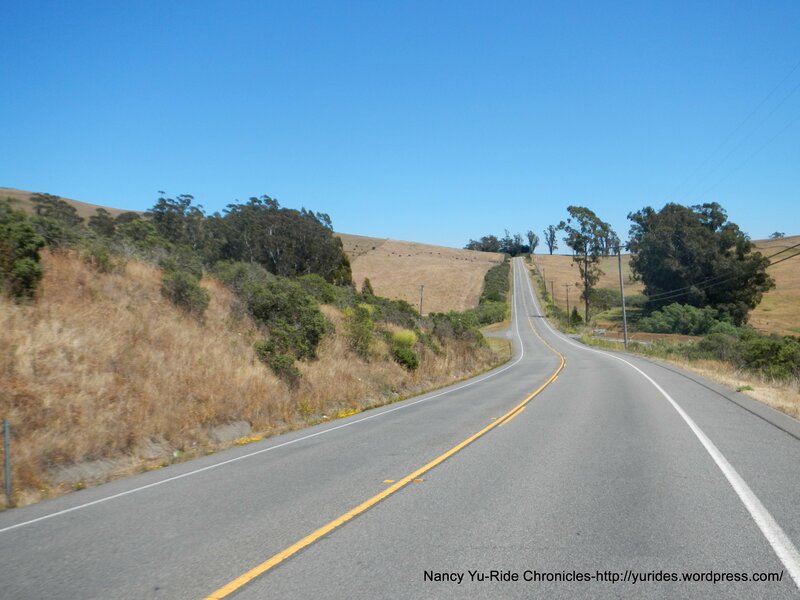 We head north on Valley Ford-Freestone Hwy to Bodega Hwy. 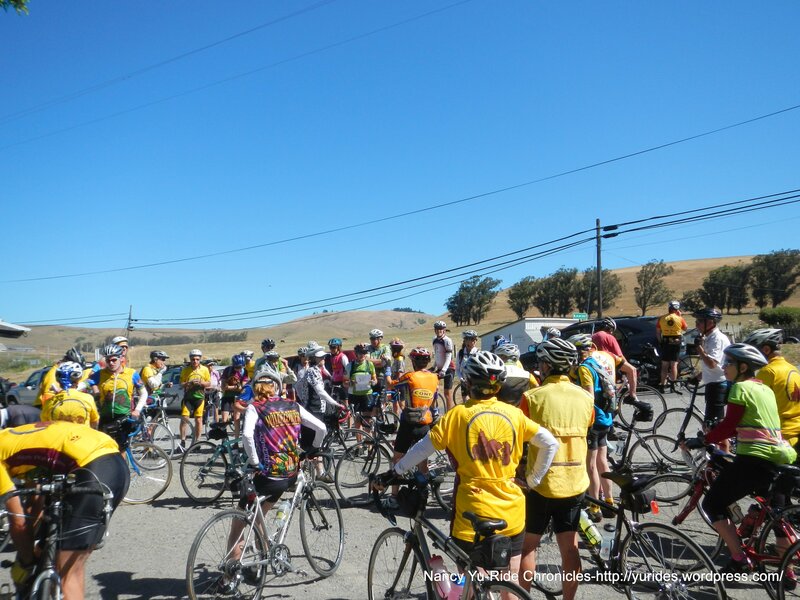 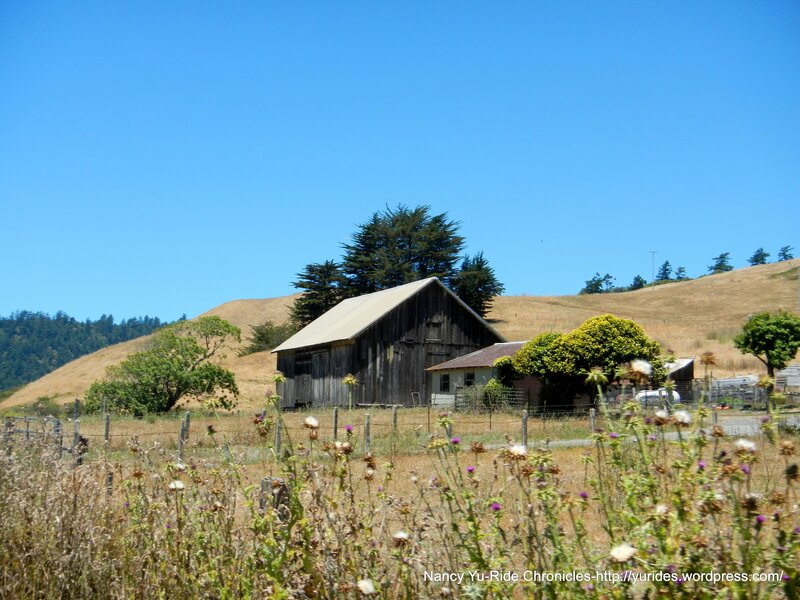 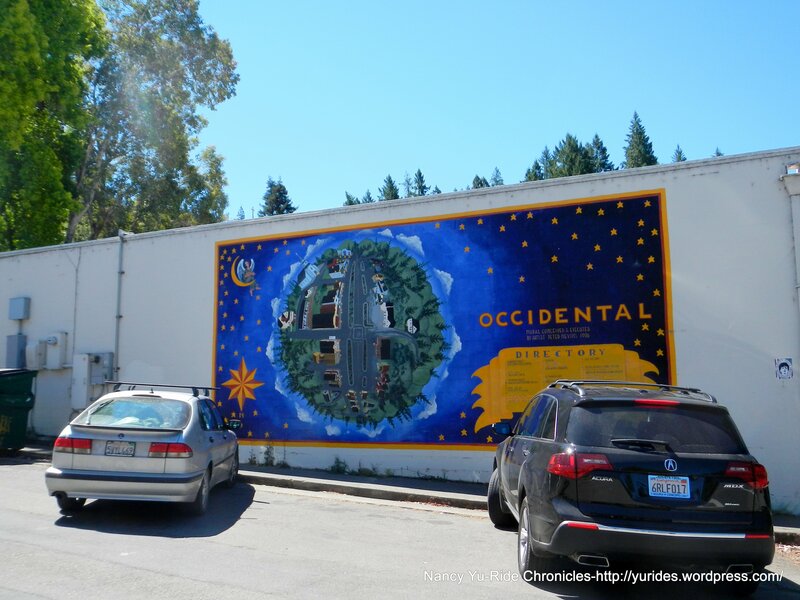 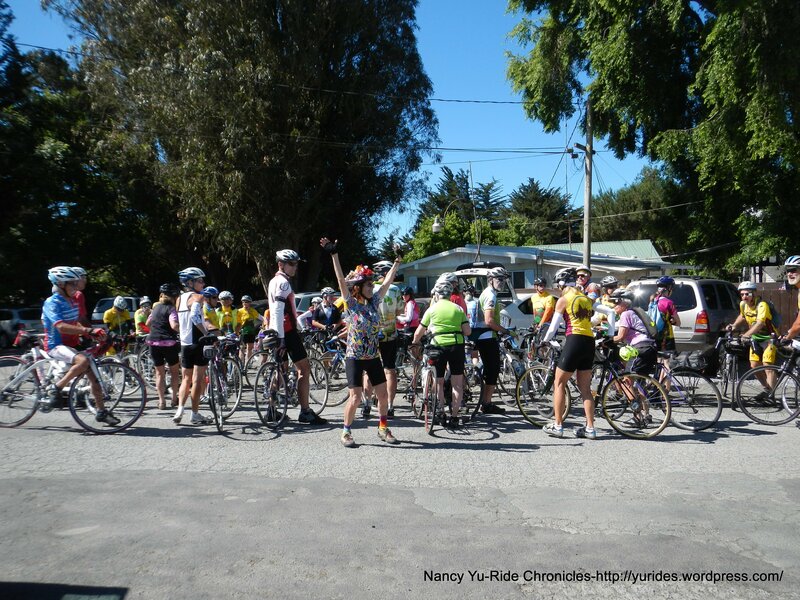 The next turn on Bohemian Hwy takes us through the quaint little towns of Freestone, Occidental and Monte Rio. 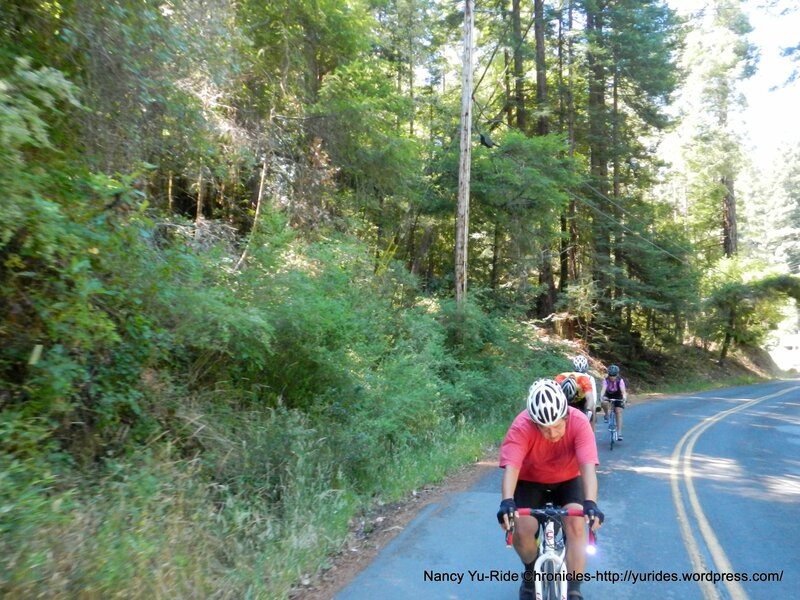 We head west on Hwy 116/River Rd for the next 7+ miles to the turn on Austin Creek Rd. 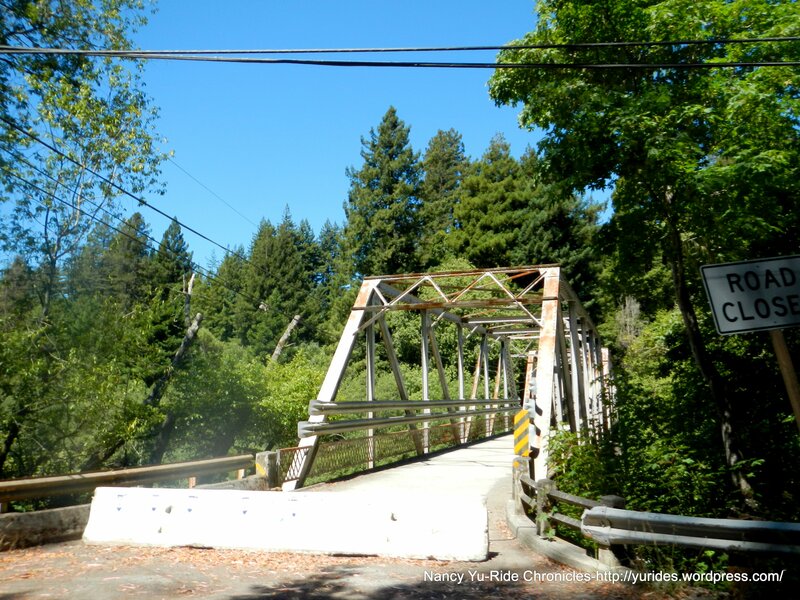 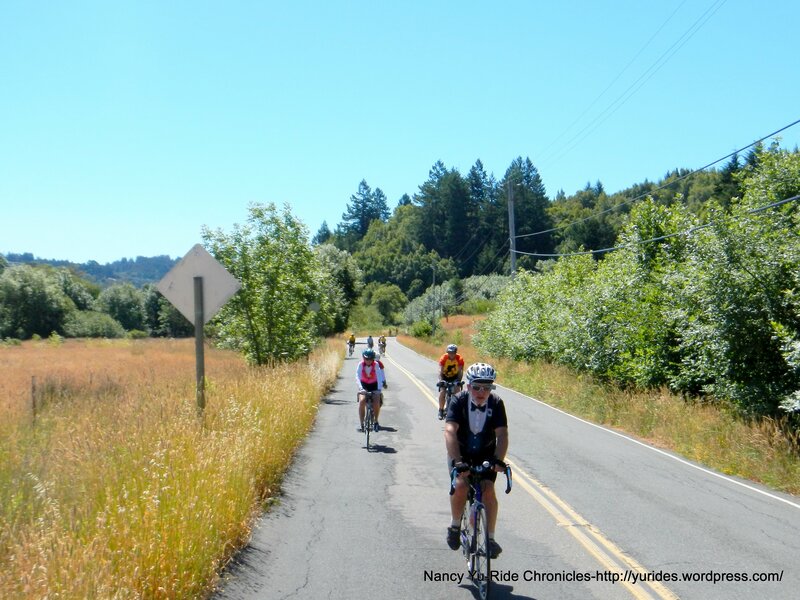 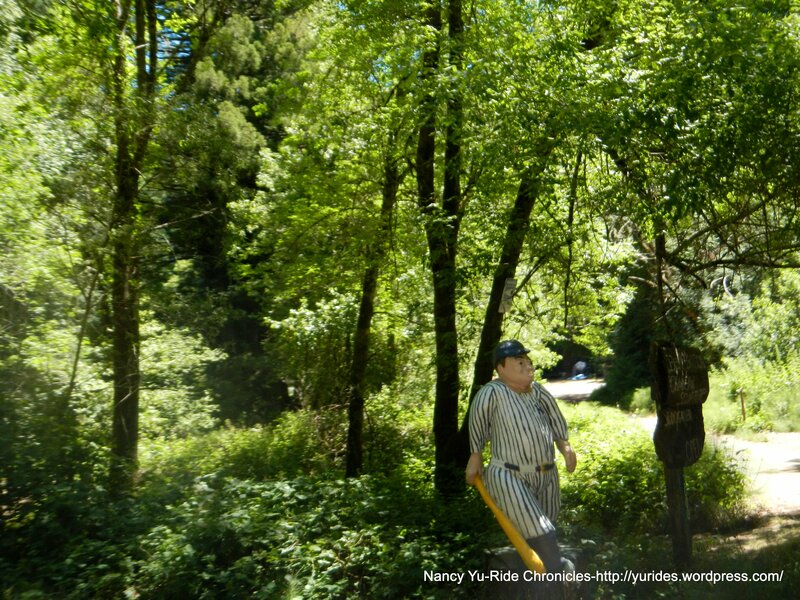 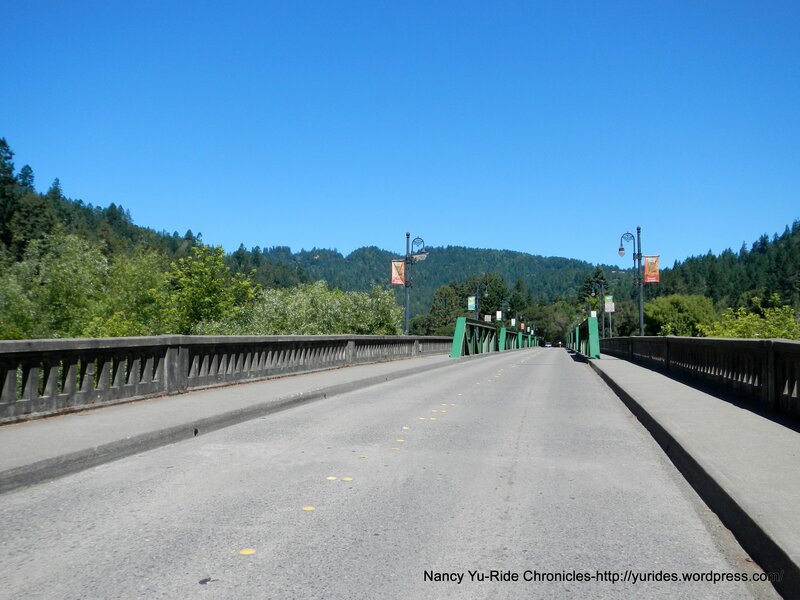 This out and back to Cazadero Hwy is a beautiful stretch of road that runs along the creek and under the redwoods. 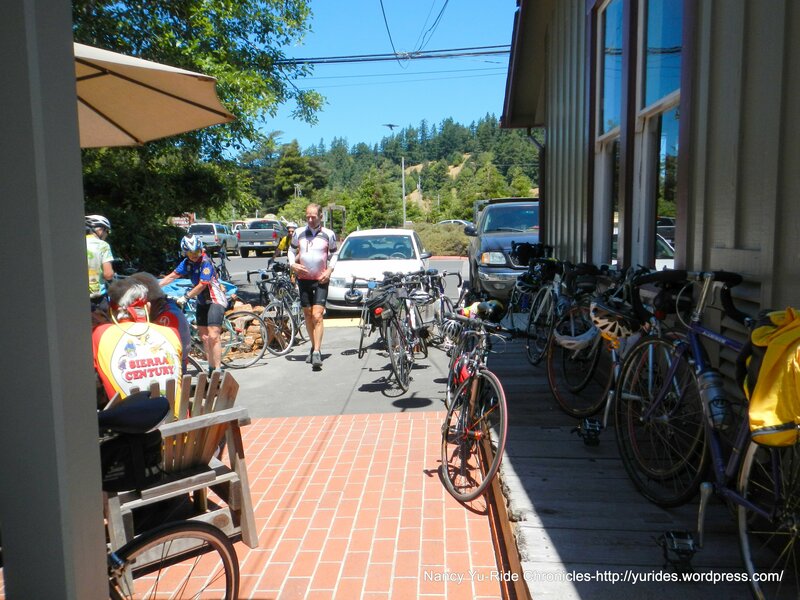 From Cazadero Hwy, we continue south on Hwy 116/River to our lunch stop at the Gold Coast Bakery in Duncans Mills. 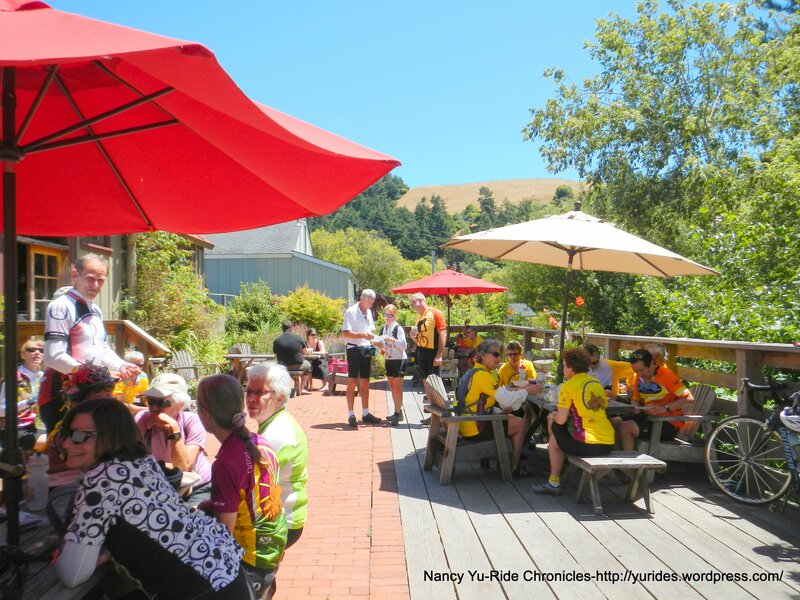 They have a fabulous patio area in the back with plenty of outdoor seating. 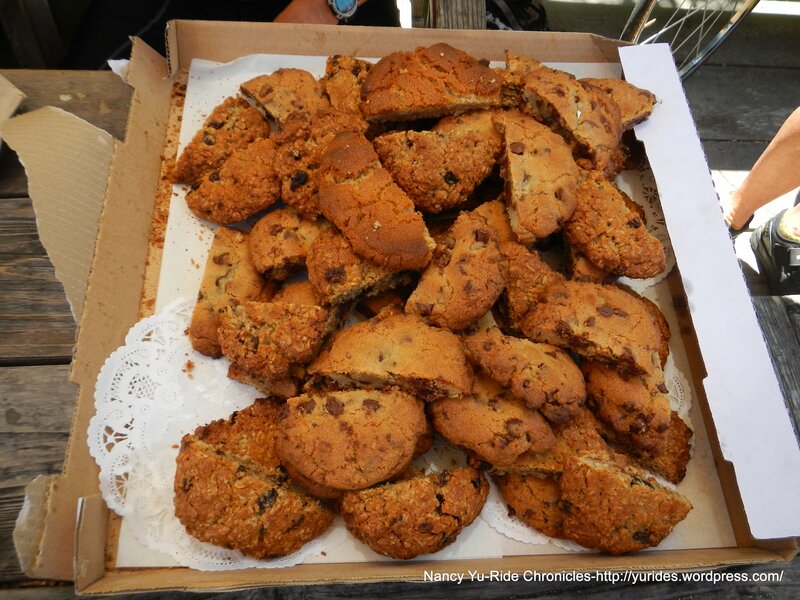 The chocolate chip, oatmeal raisin and peanut butter cookies were delicious! 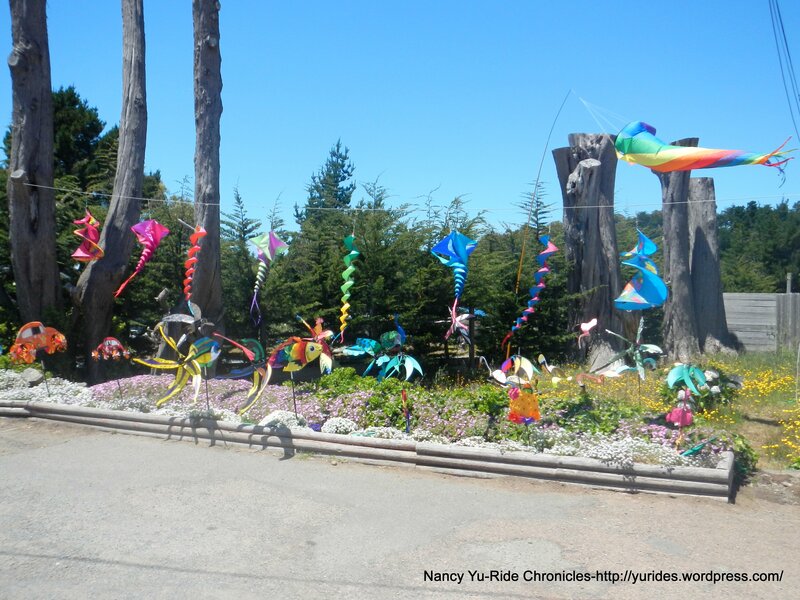 Our June babies: Left to Right-Debbie, Pat, Sally, Tom, Ann, Carole and Margie. 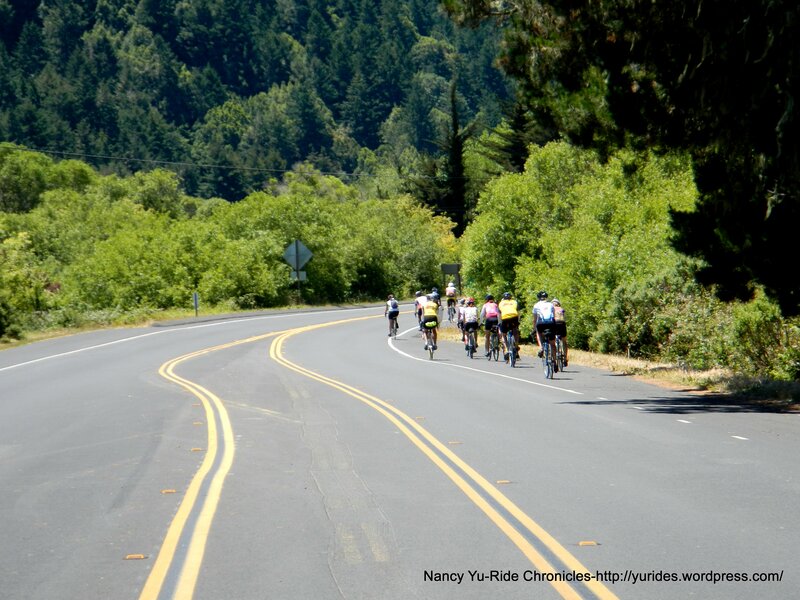 After lunch, we head west on Hwy 116/River Rd to Hwy 1. 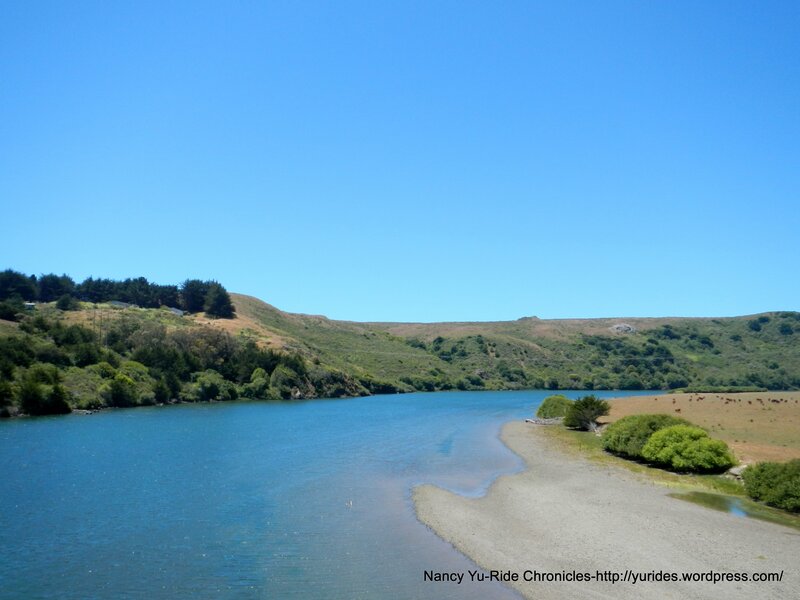 You get fantastic views of the Russian River before reaching the moderate climb up Hwy 1 to Goat Rock. 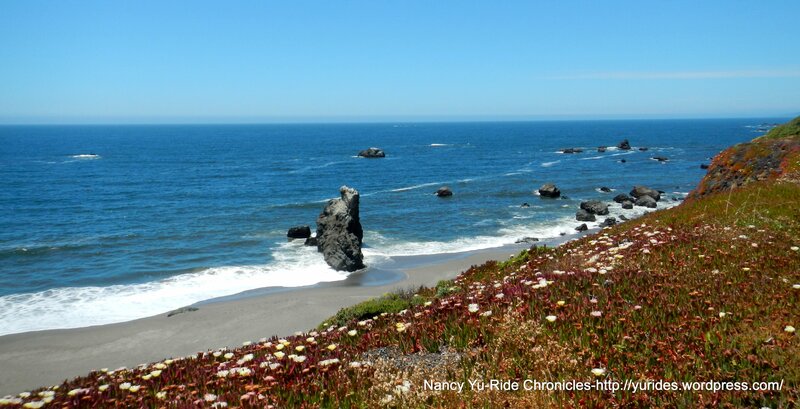 The roller coaster run along the Sonoma Coastline is quite amazing! 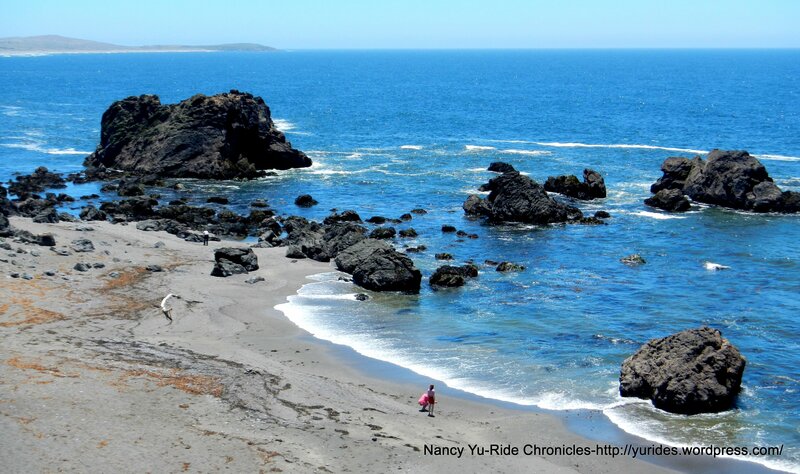 The ocean views are oh so spectacular and beautiful! 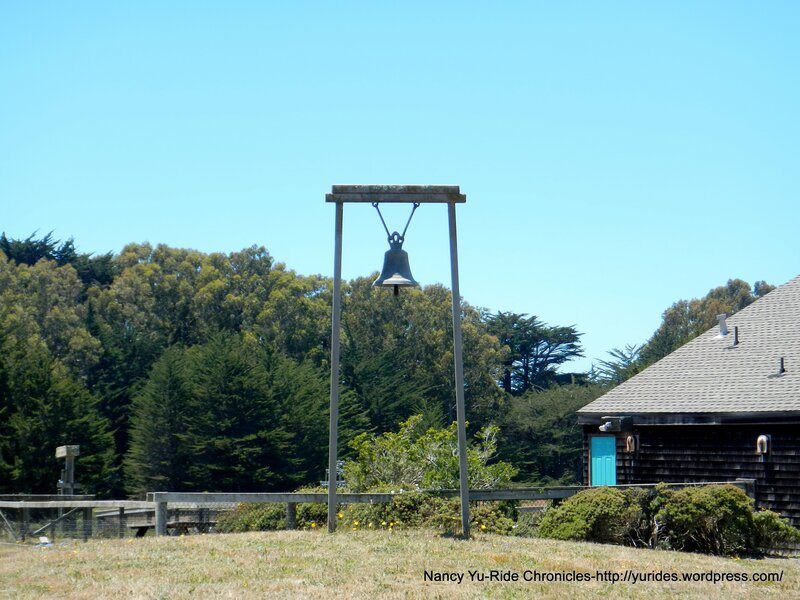 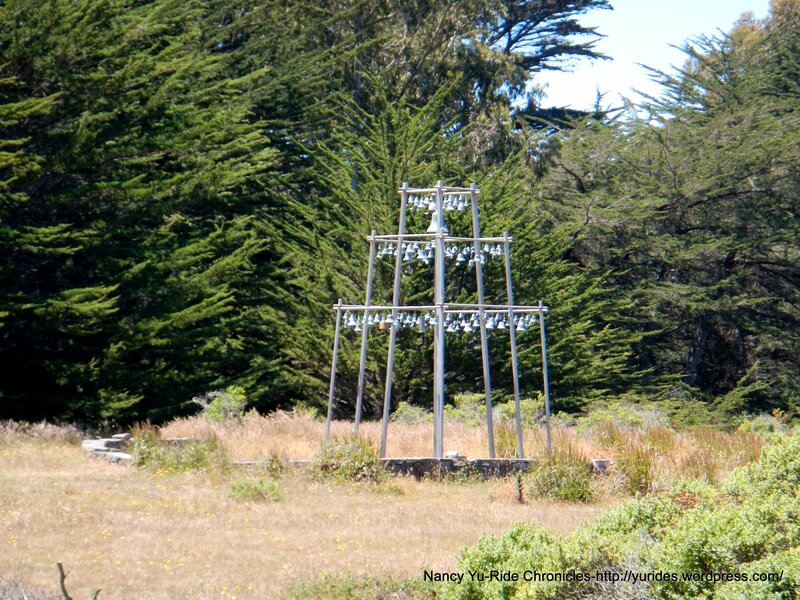 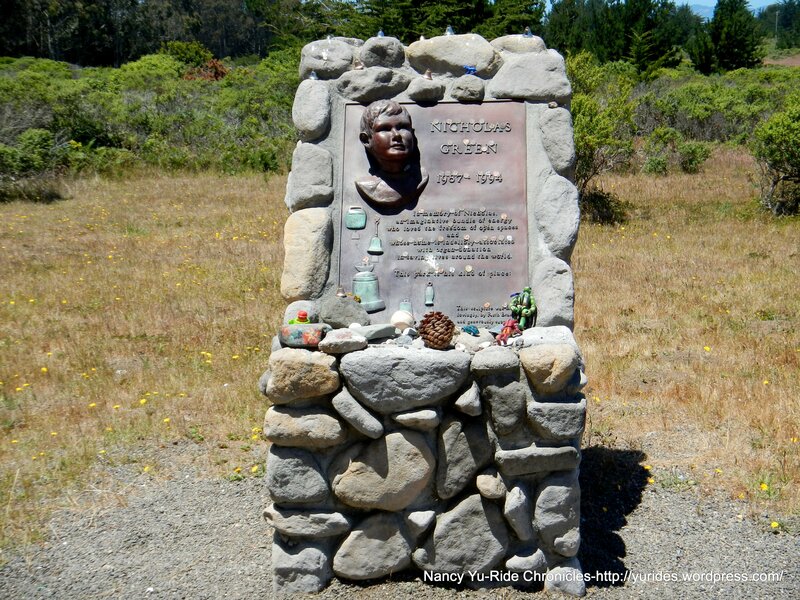 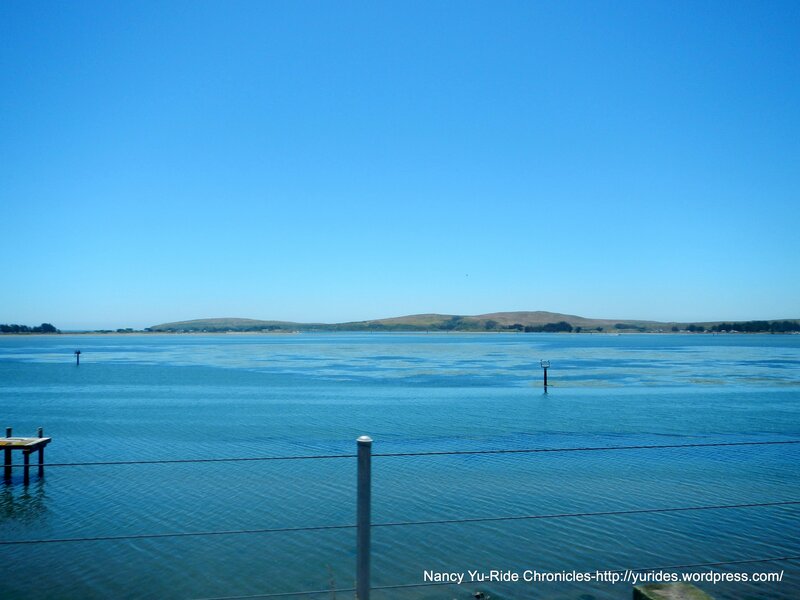 Hwy 1 brings us into Bodega Bay where I always like to stop and have a few moments of silence at the Nicholas Green Memorial and the Children’s Bell Tower. 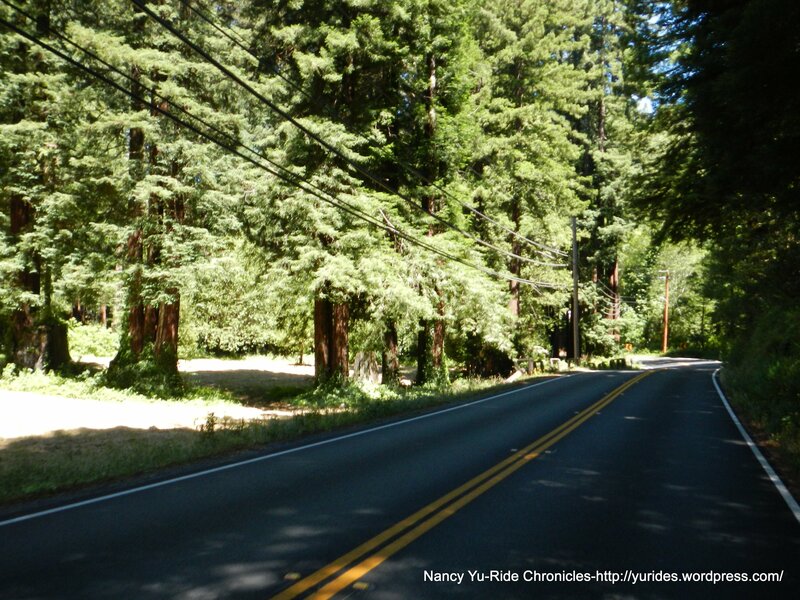 We continue on Hwy 1 and head inland back to Valley Ford. 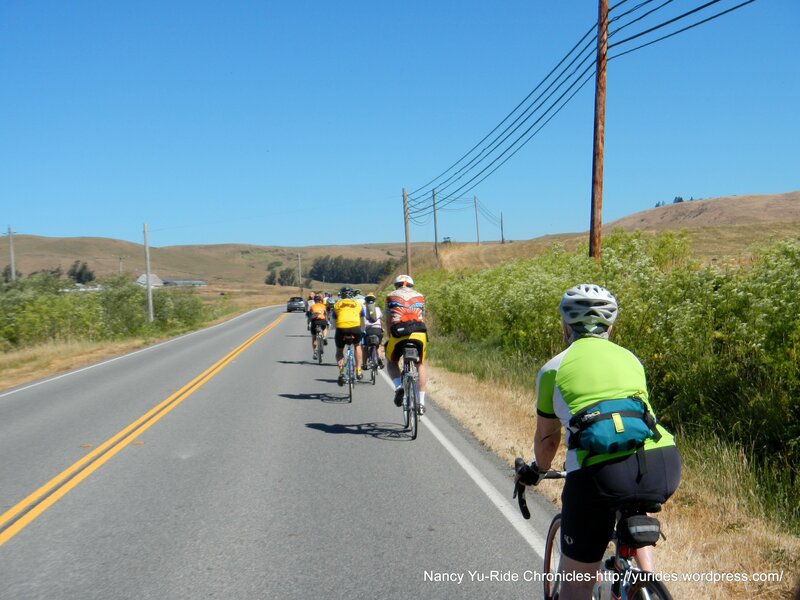 There are several climbs along the way-they aren’t as bad as they look! 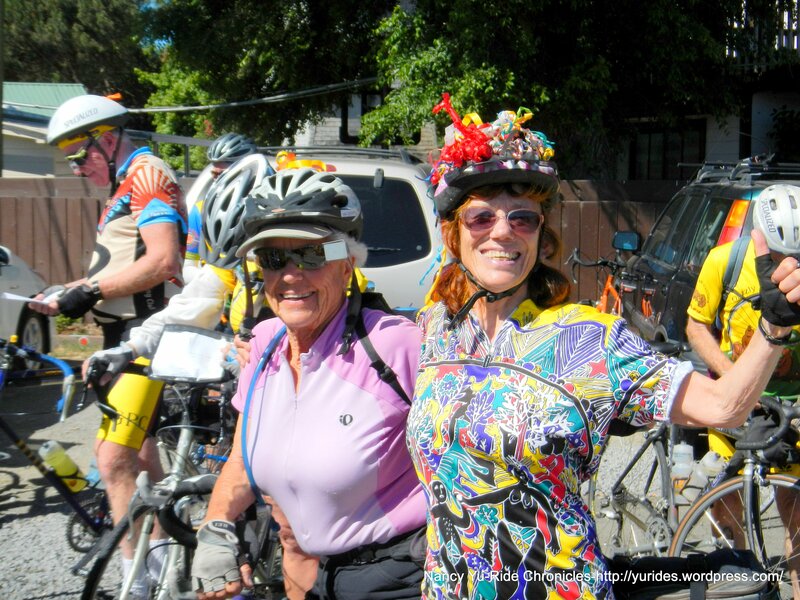 Thanks to Debbie and Margie for leading this ride! 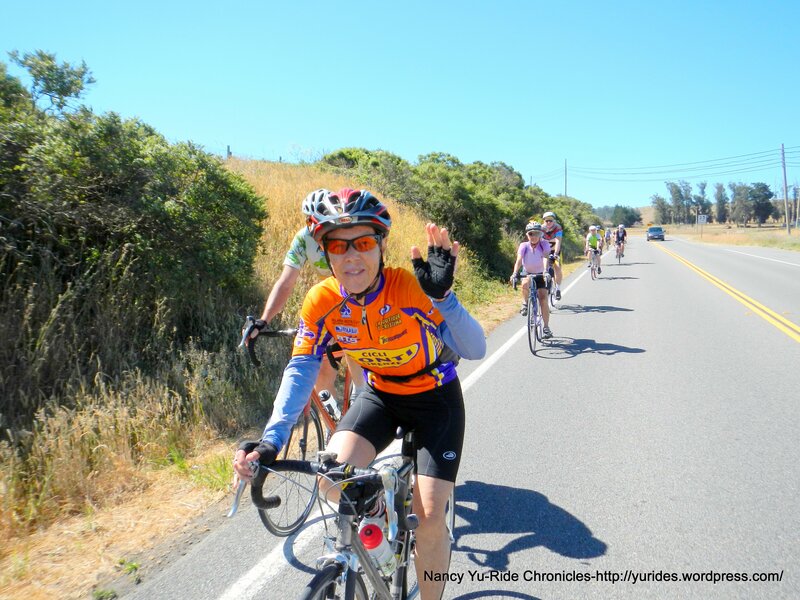 A “HAPPY BIRTHDAY” once again to Deb, Pat, Sally, Tom, Ann, Carole and Margie! 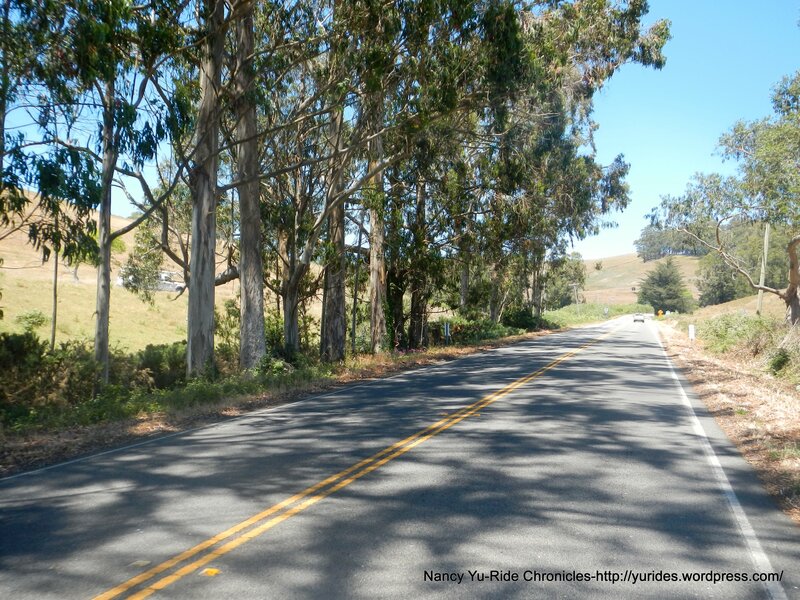 This cue sheet has an option to head north into Jenner-adds 4 miles to today’s route.